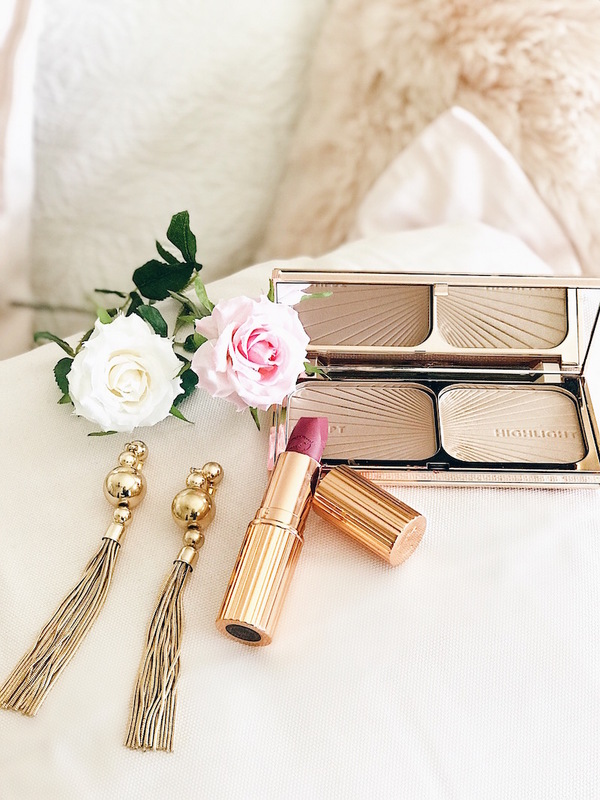 I have been dying to share a beauty post of some of my favorite makeup items for a while and I am so ready to share with you all some things that I just absolutely adore!! I am totally a creature of habit, so once I find something that I really love, I usually stick with it for a long time! 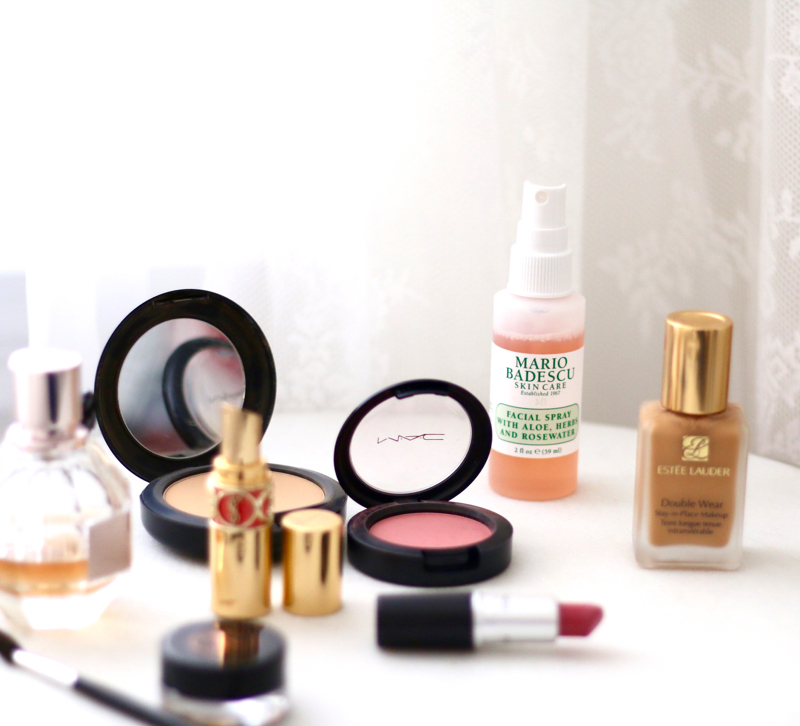 All off the products I am going to talk about today I have used for several years now and they have never failed me! LOL. 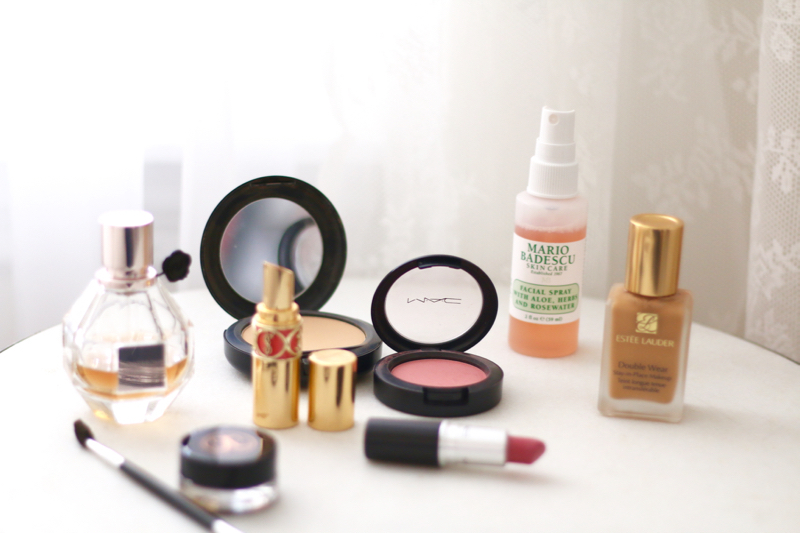 I have always loved makeup and gooooood makeup! Even if I do not have time in my day to put a full face of makeup on, I try to at least throw some lipstick on and a few swipes of mascara. 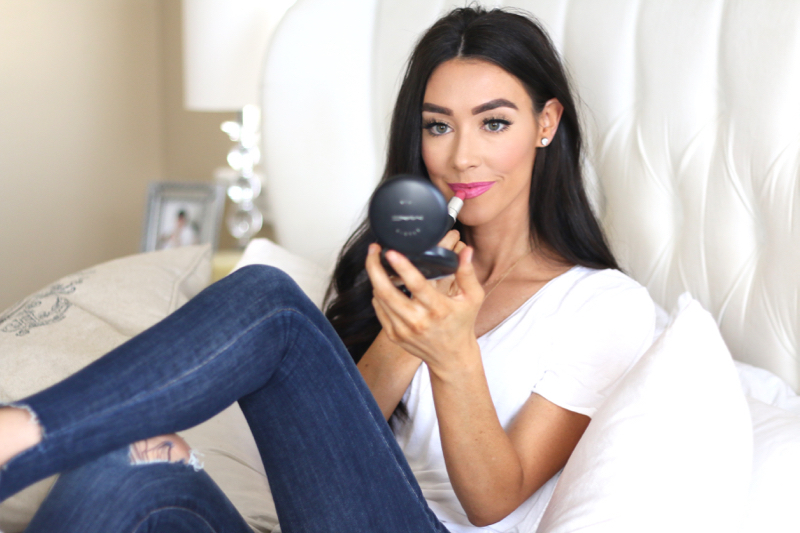 These 7 must haves are Brittany approved and truly are some of the most amazing products I have ever used. 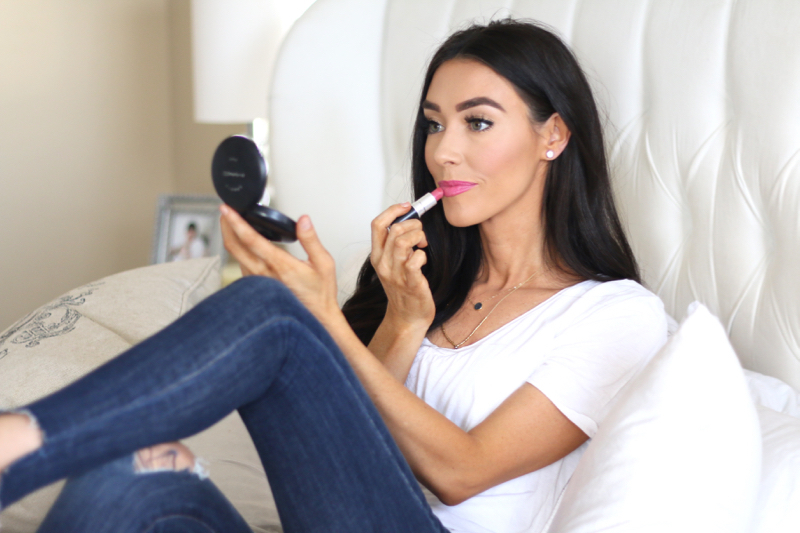 Mac Lipstick– Can a girl ever have to many lipsticks?! The answer is simply NO! Never! 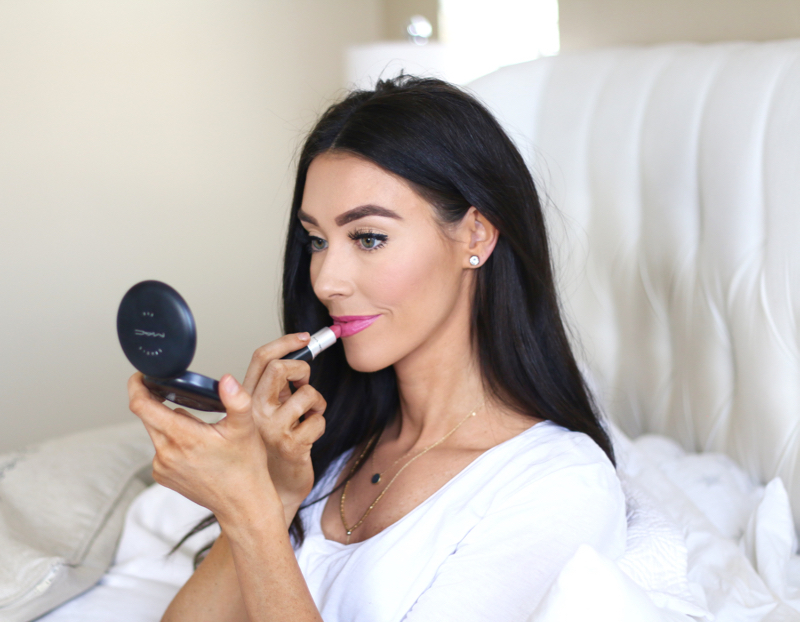 I have loved Mac lipsticks ever since I was a little girl. 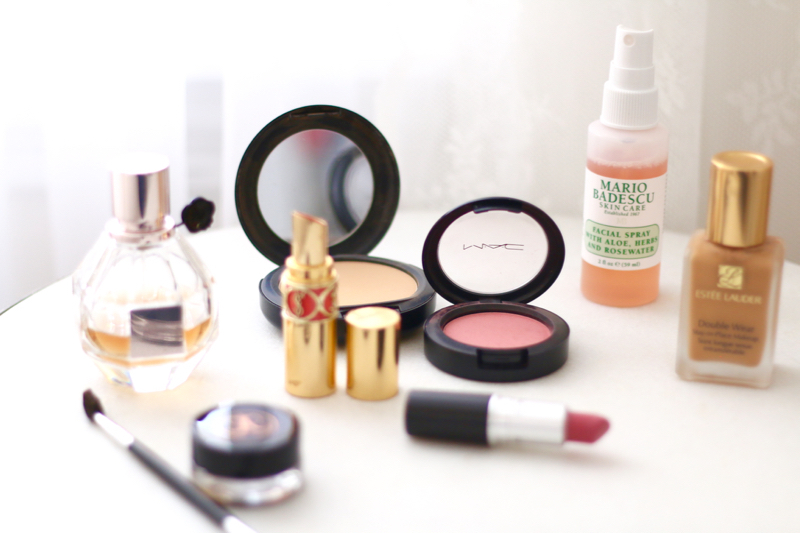 When I find something I love, I stick to it and Mac lipstick has always been there for me!! Some of my favorite colors are Velvet Teddy, Chatterbox, Hot Gossip, Syrup, Snob and Creme Cup! I’m wearing Chatterbox in my pictures. These lipsticks have a large range of textures from matte, creme, velvet, satin, cremesheen and more! 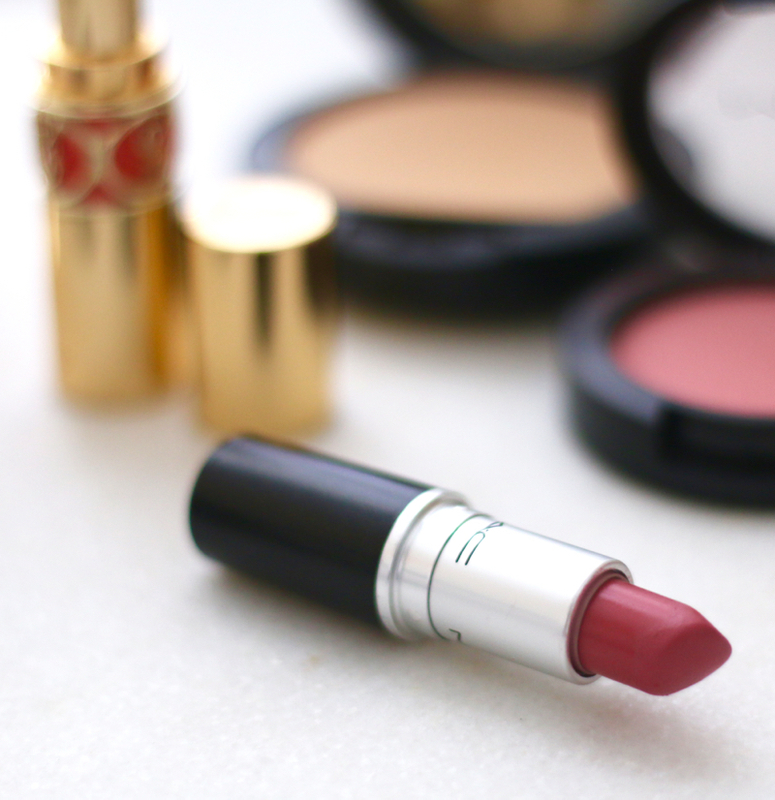 You will ALWAYS be able to find a Mac lipstick you love. I promise! Sigma Beauty Essential Brush Kit– I never realized how crucial good makeup brushes were for a flawless makeup application. My world was rocked when I discovered Sigma brushes! LADIESSSS! These brushes are the real deal. I love my essential kit because it gives me a little bit of everything. The brushes last forever and the quality you cannot beat. I love love love these brushes! They are super soft too! 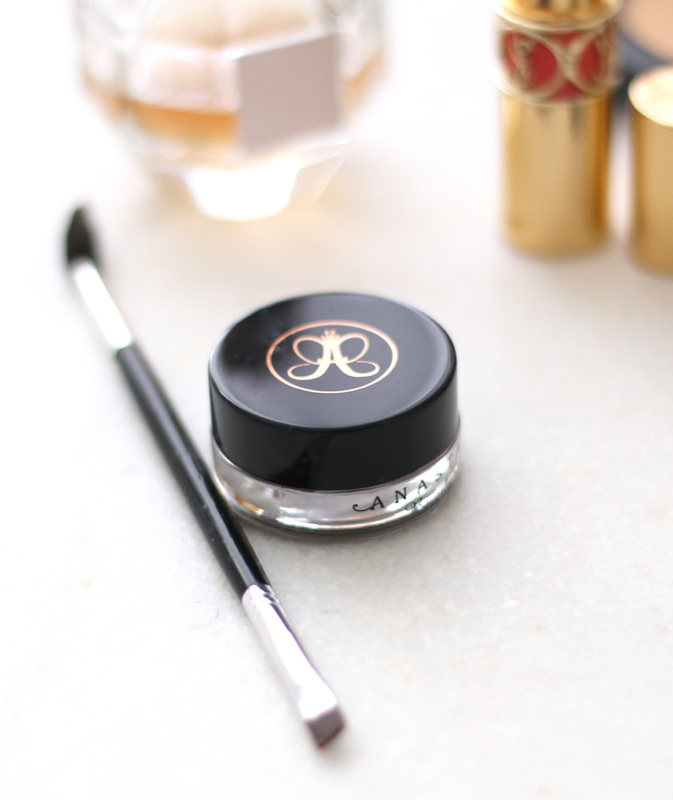 Anastasia Beverly Hills Dipbrow Pomade– Brows are crucial. Brows are everything. 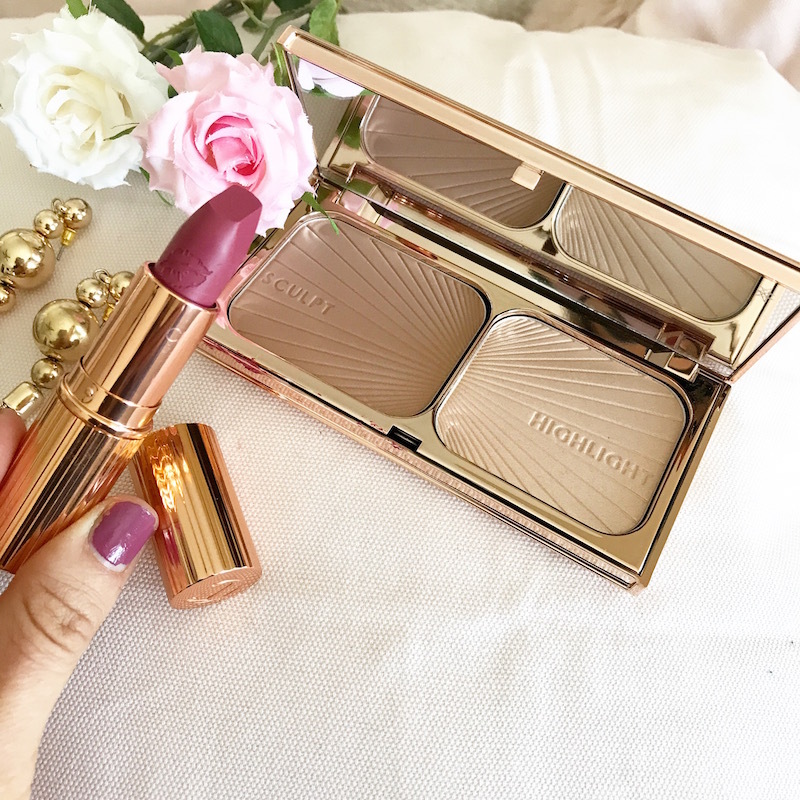 They shape your face and can totally make or break your makeup. This is serious! Recently I got my eyebrows microbladed and I loved it! I get touch ups every once in a while. I still use my pomade everyday. I love full-thick brows! This pomade will last you at least a year, if not more. You always have to make sure to close the cap. I also like to use the Anastasia brow brush because the bristles are so close together and you can really get in those tough spots to create the perfect brow shape! I wear the color Ebony. Flowerbomb Perfume– This perfume is 100% my signature scent. My sweet husband bought it for me a few years ago and I was skeptical at first since it was a brand new perfume on the shelves. Let me tell you, I’ve never fallen so in love with a perfume so quickly. I am obsessed with how deep and at the same time how sweet the notes in this perfume are! It is such a romantic and sweet scent. This is such a great perfume for date nights or even a girls day! Mario Badescu Facial Spray with Aloe, Herbs & Rose Water– This facial spray has become a staple for my makeup bag, nightly routine and my purse. I have a travel size bottle I carry around in my purse. I spritz my face throughout the day when I need a little refresher. This facial spray honestly smell likes you are spraying roses onto your face! The smell is absolutely gorgeous and I love how hydrated my face feels after I use it. This is essential for the winter months coming soon! 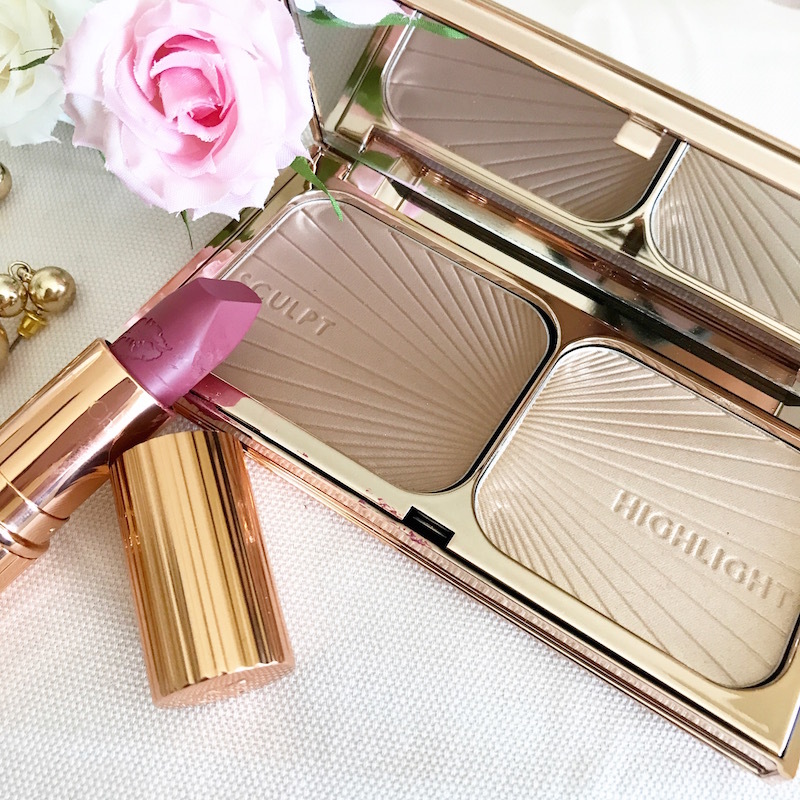 I have fallen in love with Charlotte Tilbury products! I just started using them a couple months ago but wanted to link some of my favorites below!